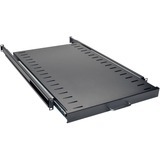 Tripp Lite's 58U Heavy-Duty 4-Post Open Frame Rack helps IT managers organize their equipment array and provides fast, easy access to installed IT equipment. 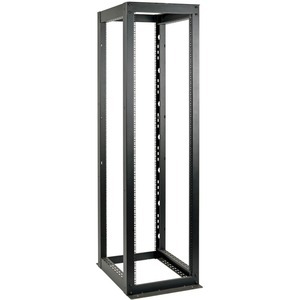 The SR4POST58HD is a simple solution for housing IT equipment in secure environments and other areas that don't require a lockable rack solution. 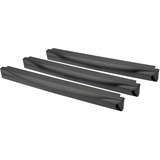 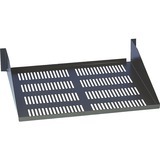 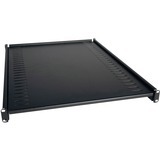 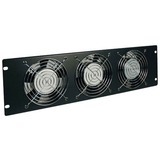 This 58U rack features heavy-duty cold-rolled steel construction with a black powder-coated finish for durability. 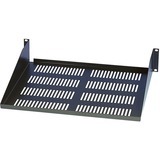 It supports stationary loads up to 3000 lb. 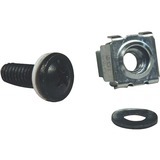 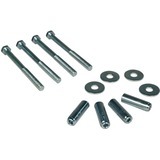 The SR4POST58HD comes with all the hardware required for assembly and has a self-squaring design with bolt-down provisions. 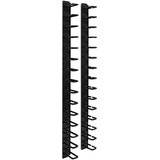 For high-density applications, multiple units can be bolted together side by side. 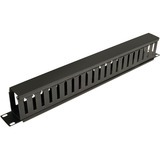 The open design of the SR4POST58HD provides unobstructed airflow and easy access to equipment and cabling. 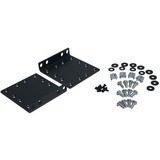 It has numbered, square-hole mounting positions for easy installation of standard 19-inch rack equipment. 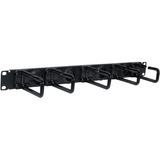 The SR4POST58HD supports equipment depths up to 35 inches. 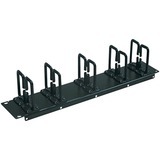 This rack also accommodates toolless button-hole mounting for vertical PDUs and cable managers. 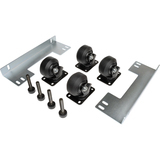 The optional SRCASTERHDKIT Heavy-Duty Rolling Caster Kit adds mobility to the SR4POST52HD. 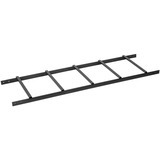 The rack supports rolling loads of 3000 lb. 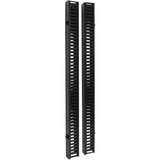 The SR4POST58HD also supports optional side panels with the SR58SIDE4PHD, a set of two half-size side panels and a third smaller panel that add a finished look to end-of-row racks in your data center.